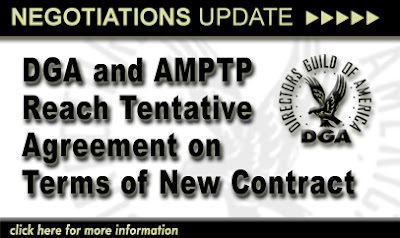 As posted on both the DGA's and the AMPTP's websites, both sides have reached an agreement. • Increases both wages and residual bases for each year of the contract. • Establishes DGA jurisdiction over programs produced for distribution on the Internet. • Establishes new residuals formula for paid Internet downloads (electronic sell-through) that essentially doubles the rate currently paid by employers. • Establishes residual rates for ad-supported streaming and use of clips on the Internet. 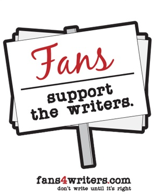 For more information from the each guild, click on their respective hyperlinks.